When your gutters are in proper working condition, they effectively divert rainwater away from your home. But when your gutters are leaking, sagging, or otherwise compromised, rainwater can saturate your surrounding landscape and seep into your home’s foundation, causing potentially costly water damage. Choosing hardwearing, seamless gutters from 31-W Insulation can help you avoid this scenario. 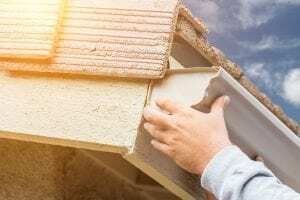 We have a long history of providing Kansas City residents with what other gutter contractors frequently promise but cannot deliver – long-lasting protection from water damage. Our gutters also come in a wonderful array of fade-resistant colors, including copper, eggshell, almond, and cream, to help you complement your home’s aesthetic. With 31-W Insulation in your area, there’s no more need to research gutter contractors. Contact us today and let us schedule a free consultation at your Kansas City home.